1. DeSean played college ball for the University of California – Berkley. 2. He was drafted by the Eagles in 2008, and played 5 seasons there until he was traded in 2014 to the Washington Redskins. 3. DeSean has been selected to the Pro Bowl twice and is the first player to be selected at two different positions in the same year. 4. He was the first rookie to start on an opening day for the Eagles in 2008. 5. In his rookie season, DeSean set the team record for receptions with 62. DeSean William Jackson (born December 1, 1986) is a wide receiver for the Washington Redskins. Having played college ball at the University of California, Berkley, he was considered a two-time All-American. In 2008, he was drafted by the Eagles – signing a 4 year contract with the team – and went on to be selected twice to play in the Pro Bowl. In the 2010 Pro Bowl, he was the first player selected to play at two different positions in the same year , wide receiver and return specialist. On September 28, 2008, against the Chicago Bears, Jackson scored first offensive touchdown. Then on October 5th against the Washington Redskins, he returned his first punt return for a touchdown with a 68-yard return. On November 9th against the NY Giants, he scored his first rushing touchdown on a direct snap with a nine-yard run into the endzone. Jackson recorded 77 yards on five catches in a 30–10 victory over the Browns the following week. Jackson’s final touchdown of the season came during the NFC Championship game on January 18, 2009 against the Arizona Cardinals, when he hauled in a 62-yard touchdown. Jackson finished his rookie season surpassing the accomplishments of two other Eagles rookies, Keith Jackson and Don Looney. He set a record his rookie season with 912 receiving yards, surpasseing the previous record set in 1988 by Keith Jackson with 869. He was also the first rookie to lead the team in receptions with 62. On December 19, 2010, Jackson returned a 65 yard punt for a touchdown, giving the Eagles a win against the NY Giants in the final 14 seconds of the game. The Eagles had been trailing in the game 31-10 with less than 8 minutes left in the game, but fought back with three unanswered touchdowns. With 14 seconds left, in a tied game, Jackson received the punt, fumbling at first, then picked up the ball running for the 65 yard touchdown return. This punt return is the first and only game-winning punt return on the final play from scrimmage in the history of the NFL. In March of 2012, Jackson received the Eagles’ franchise tag and re-signed to a five-year contract with the Eagles. 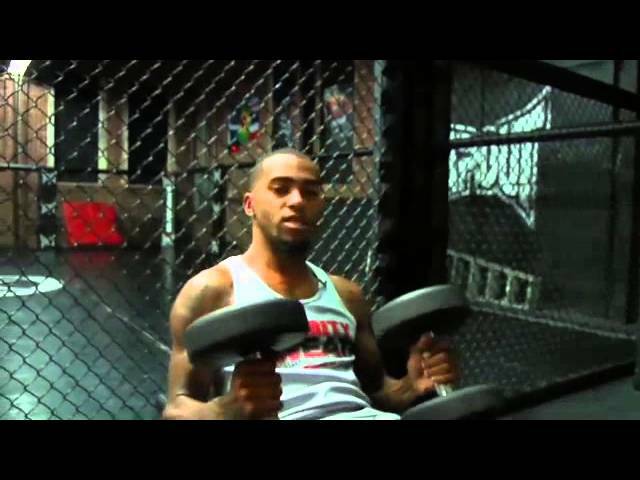 DeSean joined Celebrity Sweat in September 2012. 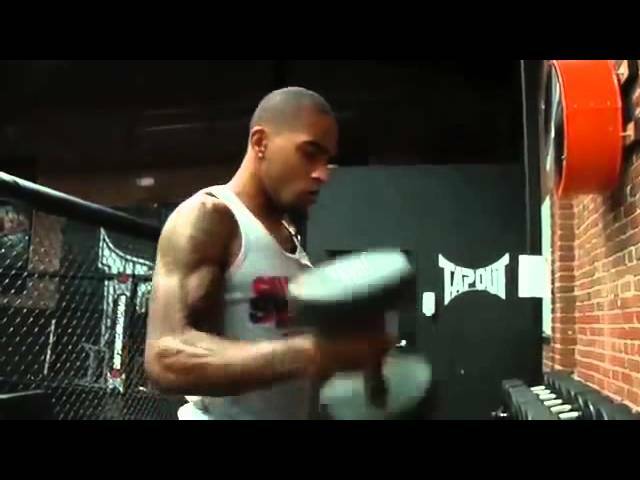 Download the complete workout episode featuring DeSean Jackson now! 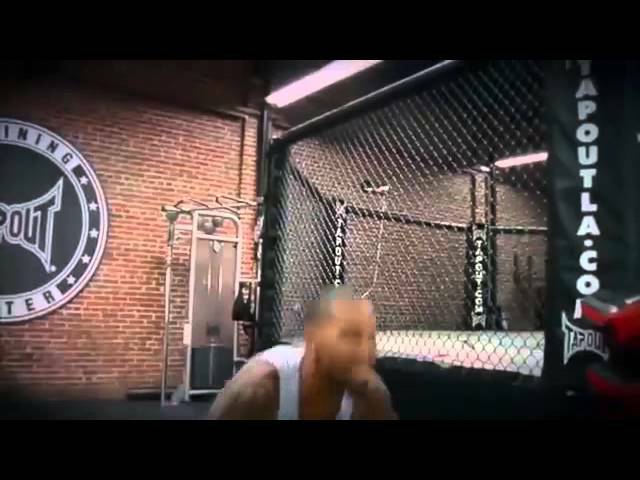 DeSean Jackson’s total body workout.